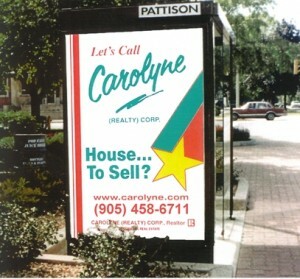 Down Memory Lane in Brampton Real Estate - Carolyne (Realty) Corp.
30 years proudly serving Brampton home owners. Year after year our clients vote us #1 in service excellence! Carolyne (Realty) Corp. Real Estate Brokerage in Burlington, Ont. recently celebrated its 20th anniversary. Founded by Carolyne Lederer in 1991 as a then-unique business concept in Brampton, the company operated as a boutique-style operation and was one of the first to implement the Internet to market homes locally and abroad. Lederer continued her 24 per cent market share of all home sales east of Hwy. 410, above the $250,000 price range, which she had developed during her tenure at Royal LePage. She was the company’s No. 1 sales representative for all of the region then called Western Ontario (the areas from London to Ottawa, from the west side of Yonge Street in Toronto to Burlington in the far west, and all points within that circle of business area). Working alone, with no team, she says she typically wrote in excess of $14 million in annual sales. Lederer lived in Brampton for nearly 30 years and although she says she was always somewhat of a loner, she developed a base clientele over the years who repeatedly did business with her and sent her their friends, relatives and neighbours. She still services clients personally, working on her own, with back-up administration people off-site. She purchased the URL for www.ThatGirlRealEstate.com, deciding she might as well use the name for marketing purposes. In 1998 she went online with her residential real estate home site at www.Carolyne.com, and started writing consumer education articles. She says the articles are read both by consumers and colleagues from all over the world, and she receives requests regularly for reprint rights so that others, even in the U.S., can send them to their own clients. Lederer says she built her business on referrals, relocations she personally developed with major corporations and using residential farming concepts that she has shared in online forums both in Canada and the US. 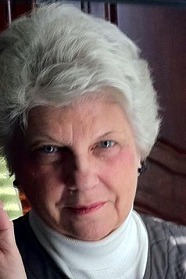 She proudly says that on her next birthday she will be 70 years old, having spent the last 30 years in real estate. 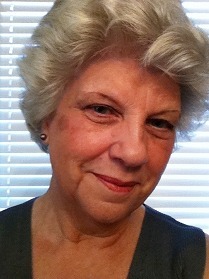 Carolyne is the resident Gourmet Cooking for Real Estate Professionals contributing writer at REM. Use your side scroll bar on your screen - there's lots of pictures to see. Carolyne Lederer credits a commitment to her profession and a love for people for her remarkable success as a real estate agent. Lederer, a nine-year veteran of the real estate field, has become quite successful as an agent for Royal LePage, the firm she’s represented for more than four years. A resident of Brampton, Lederer has garnered provincial and national acclaim for her kean perception on how the real estate market operates. In February, she received an award from Royal Lepage for having the number one sales spot in western Ontario and in April was recognized as being in the top one percent of nearly 7,000 agents nation-wide. Lederer can remember wanting to become involved in real estate in the ‘60s, but instead opted for employment at a publishing firm where she could work on manuscripts at home as she raised her children. When her children matured and moved away, Lederer decided to pursue her passion to become involved with real estate and has never looked back. Lederer’s devotion to her career is evident in the fact that she works from two offices – one at the Royal LePage branch at Centennial Mall, the other at home where a full-time secretary ensures that no calls are missed. While Lederer says she works predominantly with an “executive market”, she feels the term is misleading. Lederer believes one of the most important parts of finding someone a home is sitting down and establishing a mental picture of what it is they want. When the Brampton real estate agent meets with a client the three main criteria she looks for include where the client wants to live, how much the client can pay for their home and what special features (such as a hot tub or pool) they’re looking for. ”If a purchaser’s lifestyle dictates living in a single level home, it would be foolish to show them multilevel homes,” Lederer suggested. From a selling perspective, Lederer says she’s a firm believer in marketing strategy. “You must market your product for those who are most likely to buy it,” she said. ”The idea is to get for the vendor, the best possible price for the home based on current market value, without misrepresenting it to the purchaser,” she added. Lederer also believes that an experienced and genuine sales representative should have no trouble selling the home of one client to another client with both parties receiving complete customer satisfaction. ”Based on market value, armed with proper data and supported by documented research, both the buyer and seller are then in a position to realize that they’ve each been treated fairly,” she said. Lederer also says the easiest home to sell, which usually results in the highest selling price, is one which is basically neutral, very clean and situated in the most desirable location. ”People who over-improve their homes do so for their own pleasure and sometimes fail to realize that they now have the most expensive home in their neighbourhood,” the real estate agent said. Lederer also explains that the buyer and the seller need to realize that there’s a qualifying process set up by financial institutions whereby the buyer must qualify to pay for the house and the home for sale must meet rigid qualifying standards set by the same financial institution. Properties are appraised by a bank or other financial institutions which send an independent appraiser of their choosing. The findings of the appraiser must be supported by a minimum of three comparable sales, not For Sales, in the given area,” says Lederer. She explained that houses listed at a higher price than other homes in the same area often take longer to sell, and in some cases may not sell at all. Working 14 hours in an average day, Lederer admits her husband’s continual support has been essential in helping get where she is today. In the little time she has to herself, Lederer says she usually enjoys gourmet cooking and her second love – writing. She currently has two manuscripts on cooking “in the works” and is planning to complete a textbook for real estate agents. “The public really has no comprehension of the workings of the real estate field, where a large percentage of our time is scheduled by others, she noted. She said she plans to continue to expand her executive home expertise to keep pace with the growing market and demand in the Brampton/Bramalea area. To assist her in getting referrals, Lederer has set up a cross-Canada network with other top Royal LePage sales people. The network allows her to refer or receive business from anywhere in the country. ”It doesn’t matter whether you are a waitress, a taxi driver, a sales clerk or a real estate representative, you simply have to be the very best you can be,” Lederer concluded. The name is scrawled in greenish teal, with a little swatch underneath the “roly” part for emphasis. Along the side, vertical fuchsia stripes provide balance, offsetting the flair with which her name appears. This is the business card for Carolyne. Just Carolyne, thanks. She could be selling cosmetics. An interior designer, perhaps. Maybe even a modeling agency. But no. Carolyne is the name of a new realty firm. And Carolyne Lederer, broker, entrepreneur, businesswoman, is the name of the remarkable woman behind it. Carolyne. It does, one supposes, represent her personalized way of doing business. It is also unique, stylish and allows people to avoid saying her surname. Not that Lederer is a particularly difficult name to pronounce, it’s just that people seem to have difficulty wrapping their mouth around it. “It’s really quite comical, “ she laughs. (For the record it’s pronounced Lay-der-er). But the most noteworthy thing about Carolyne isn’t the name or the look, it’s what she does – and has done. For 11 years, she was one of the top real estate agents in Canada with Royal LePage. And then two months ago she up and quit and started her own firm. Just like that. Just when the housing market was at its lowest point in years. But then that’s like her. Spontaneous, confident, independent. And very successful. How successful? She won’t say but a guess of one house sale per week over her career wouldn’t be far off. She doesn’t mess around with ramshackle bungalows either, although she bristles at the suggestion that she deals only in exclusive [executive] listings. Still, the fact remains she has a knack for being able to move homes in the seven figure range. Once, she sold three almost simultaneously on a street in which houses never become available. “I’ve never sold anybody anything,” she says. Rather, she likens her job to the police and would steal [use] their slogan --- To Serve and Protect --- if she could. That’s an unexpected side of Lederer: modesty. Lederer says she brings a non-jaundiced eye to an act that can often be an emotional decision. Ironically, it was an emotional decision that prompted her to start Carolyne, the company. Or at least as emotional as she can make. While it was “spontaneous,” it didn’t come without careful consideration of the market and her career. Same when, at 39, she left her position as a highly-paid editor for a Toronto publishing firm to begin what she has wanted to do since she was 21. Now barely two months into her 40 Finchgate Blvd. Office, with nobody but a secretary, she has a dozen new listings. materials she privately produced during her tenure there. Today with the world wide web at our fingertips 24/7, Carolyne shows off her clients' homes this way as well as with brochures. Click here to view one of Carolyne's recent listings displayed on the web.